1 Is dry cleaning available? Comfortable and lightweight piece of winter clothing - down jacket, has long gained popularity among Russians. In such a jacket is not afraid of cold and piercing wind. Only one nuance overshadows the wearing of outerwear, how to properly wash a down jacket at home. Not all housewives know it and know how to do it. On the label of the jacket, there is a sign that the product is washed in a dry-cleaner. It is very convenient and practical, you do not have to do unfamiliar work yourself, but not all locations have such services. It is not always possible to get a good result after cleaning, and it is expensive. If the decision is made to wash a down jacket at home, then it is better to do it manually. Before you start washing, you need to assess the extent of contamination. If the jacket has spots in small quantities, you can try to clean them with a sponge and soap. Then the whole down jacket does not have to be washed, and the problem of dirt will be solved with minimal labor. If it is still necessary to wash, you first need to detach the fur and hood from the jacket. Decorative items can be hidden under a waterproof film so that they do not leave traces when washed. All zippers and buttons, you should also zip up, clear your pockets. Important! Manual washing of the down jacket should be done with a special detergent. The usual powder in the granules will not work, it is better to prepare a detergent without dyes or a special shampoo. 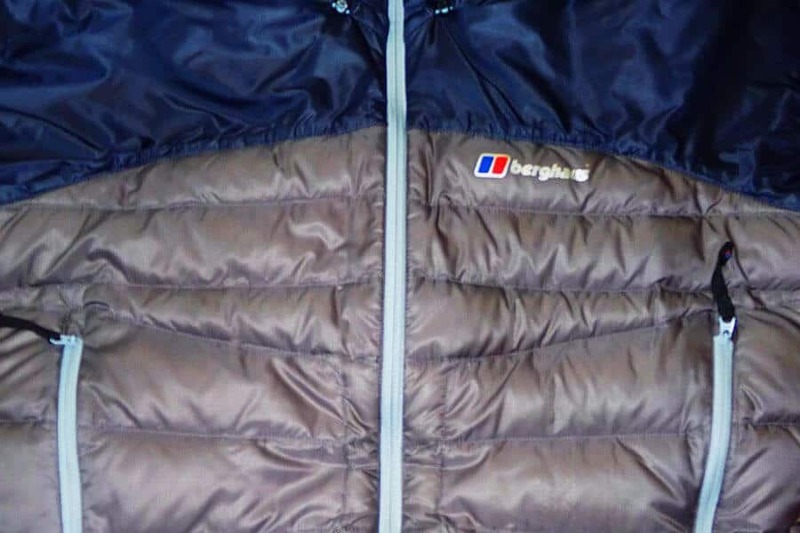 How to wash a down jacket at home, to keep the shape, such a question many housewives ask. After all, I want to do everything right and preserve the beauty of the jacket. Options how to wash down jackets at home can be 2: in the washing machine and manually. If the down jacket is very dirty, then a washing machine will help. Together with outerwear, 3 tennis ball is put in the machine. They are soft will not damage the jacket, and help to avoid rolling filler. Before washable jacket need to turn inside out. Only one thing is put in the machine. The washing mode is set to “delicate” (handwash) at a temperature of 30 degrees. Spin is programmed at the lowest 600 rpm. You can once again rinse the product after the main wash, because of the filler is difficult to immediately remove the detergent. carefully examine the pollution. The dirtiest places - cuffs, collar, pockets, you can simply clean them with a brush and do not have to wash the entire jacket. cleaning is made by special means or soap. Do not use regular dry powder. the jacket is hung on the hanger in the bathroom, in this position less foam gets inside on the synthetic winterizer. in a vertical position, first of all, especially dirty places are cleaned, then the entire surface of the down jacket. a brush for clothes or a soft sponge is suitable for cleaning. when washing off the foam, the stream of water should be angled so as to wet the filler as little as possible. Careful inspection of the jacket will determine the presence of divorces. If they are, then the product is again watered with clean water. In order to avoid divorces when washing a down jacket manually, it is not recommended to use air conditioners. very dirty down jacket should be washed in the bathroom (basin). Jacket soaked on 30-40 min. in soapy water 30 degrees. After soaking, dirty stains can be easily brushed. thoroughly rinse the washed product to avoid stains and white spots. A special approach is applied to the cleaning of fur. Wash it only in dry cleaning or by hand. For washing the liquid detergent is used. If the fur is very dirty, then it is pre-soaked in water at a temperature of 30 degrees. Caress fur in cold water, so it will be shiny and soft. Squeezing fur is not necessary, just shake. Dried fur is combed first against the coat, then over the growth of the villi. Hand washing down jacket is troublesome, but you can be sure that all dirty stains are cleaned. The main thing is to follow the rules of washing, so that the jacket can serve as protection from the cold for a long time. the down jacket is dried only in an upright position. It is not necessary to lay it on a towel, because the filler will dry for a long time and lumps will appear. Outside, the jacket dries much faster than in the room. the down-padded coat hanging on the shoulders must sometimes be shaken to fluff the down. For this fit for the carpet beater. in wet weather, the jacket is dried in the room, near the heating devices. To hang the product on the battery can not, so it may appear stains. From too hot air, the jacket will lose its shape. If the washing machine is equipped with a “drying” mode, the process is simplified. Set the mode of "gentle drying" at a low temperature. The washing machine will do everything by itself. the lining and internal seams can be dried with a hair dryer, just do not need to put too hot air. You can wear a down jacket only after it is completely dried, otherwise in wet places there will be mold and an unpleasant smell. Attention! From the correct action depends on the appearance of the down jacket after drying. To look like a new jacket, you need to make maximum effort. Как hand wash down jacket and dry sorted out, but if not everything worked out. After drying, stains remained, the filler crumpled up, what to do? We'll have to correct the mistakes and return the old look to outerwear. You can break the lumps with your fingers, carefully kneading problem areas. A cane or a beater for clothes will help to beat the lumps. The jacket unfolds on the table and with a wand gently strikes the cluster of filler. With the help of a vacuum cleaner, the filler is returned to its place. A narrow nozzle is taken, and the inside of the jacket is vacuumed over all surfaces. Particular attention should be paid to the seams, pockets that are where a large number of lumps accumulate. Defeat detergents help dishwashing. Dissolve a few drops in warm water and wipe the stains with a sponge. Then dry these places with a hairdryer. If outerwear is too crumpled, then iron it ironed. The temperature should not exceed 110 degrees. A jacket that cannot be ironed is tidied up with a vertical steamer. To cope with washing down jacket at home is quite real, although it will take a long time. Adhering to useful tips, you will no longer have a question about how to wash your favorite jacket by hand. Rolled down after washing - what to do in this case? How to quickly and effectively wipe off rust from clothes? Well, I can say that the article is interesting and I liked it, it can help newcomers in this matter, I think so, but people who already have a survey in this work will not do as they write in the article because they have found their approach how to wash a down jacket. Everyone thinks differently, but such articles are read only with no experience in this matter, so I think the article will help them and this method will suit them! The main thing and properly washed, and properly dried. But much depends on the quality of the down jacket too. It is a pity that I did not know this before, my wife was washing the down jacket in the washing machine and it turned into a rag.